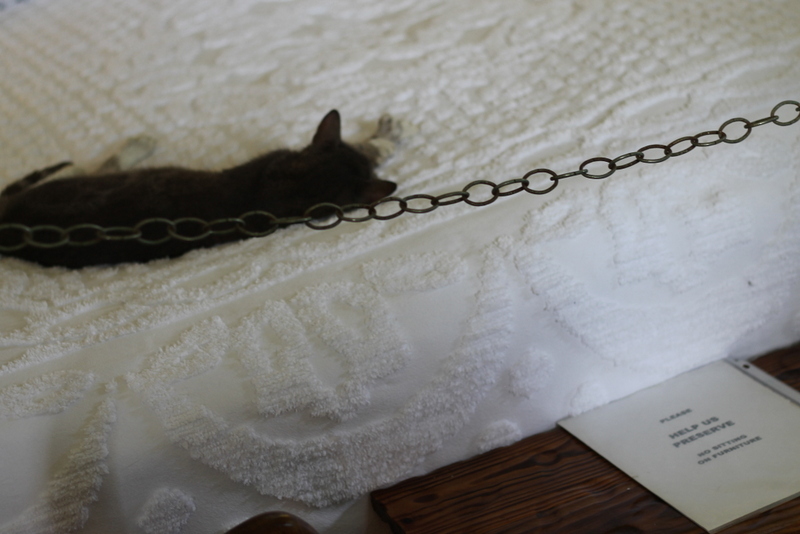 We stopped by Hemmingway House in Key West, which was excellent – I love reading and I am slowly developing a great love for Ernest Hemmingway, though I am sadly under read in the American classics department. 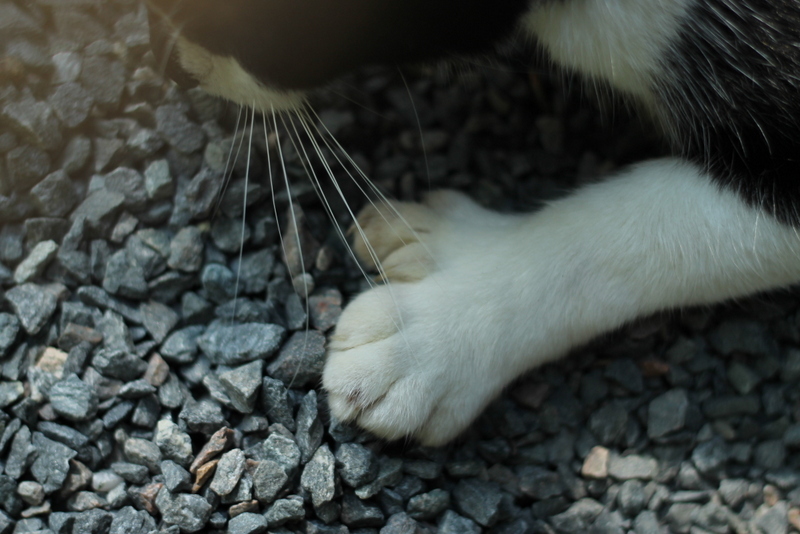 The Hemmingway House is famous for its polydactyl (multi-toed) cats – most have an extra toe on each front paw although some have two extra toes and others have extra on the back paws too. 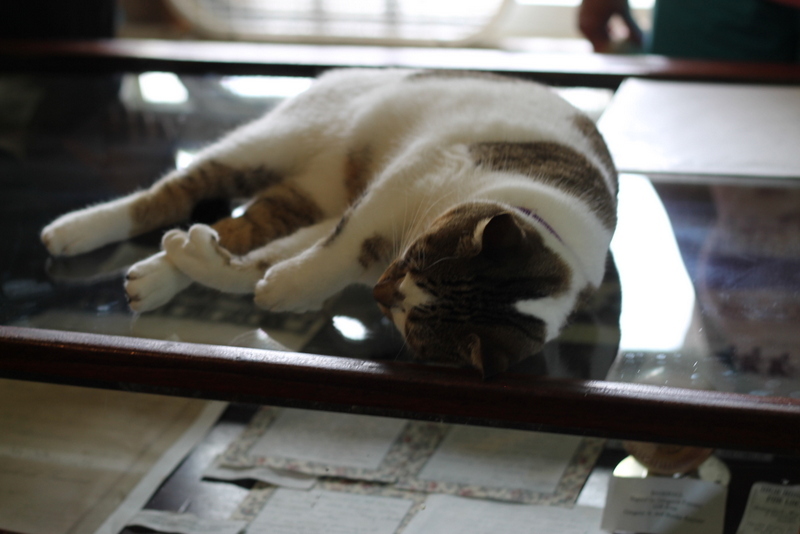 This cat preferred the cool glass above the exhibit of Hemmingway’s personal effects. 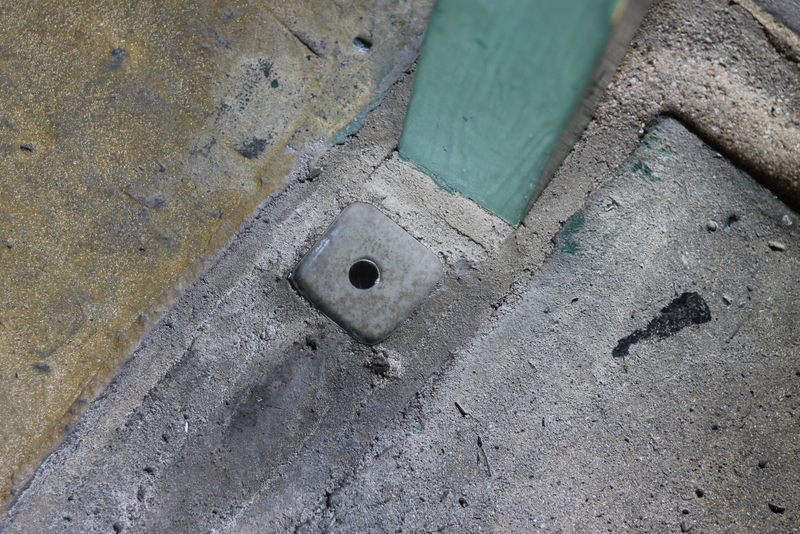 This penny, buried in the concrete, was from a fight Hemmingway had with his second wife, when he came home from traveling with another woman and found she had installed a $20,000 pool. He apparently threw a penny down on the wet concrete with the declaration that she had taken him for his last penny. And she made sure it stayed there! 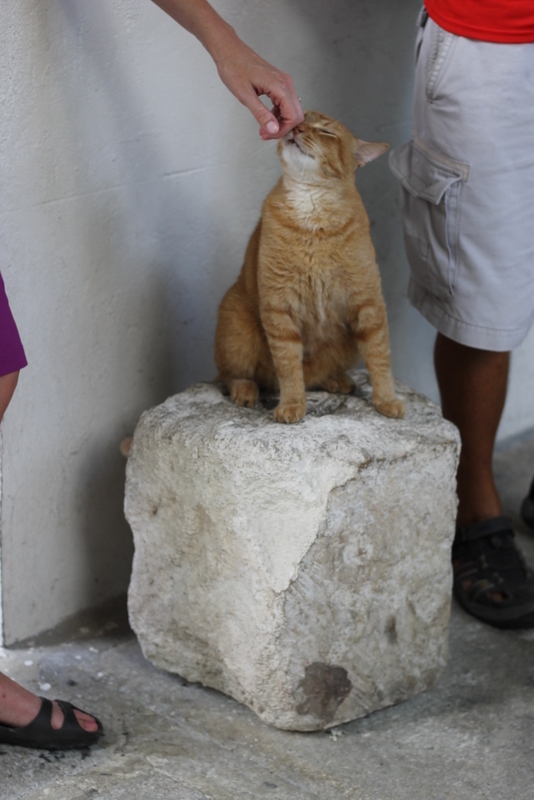 One of the cats, basking in the attention of the tourists. 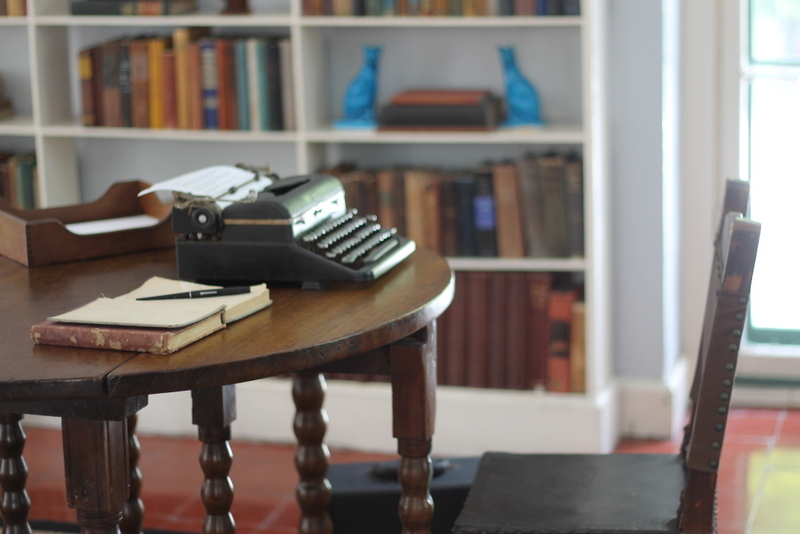 And finally, Hemmingway’s office. Genius came from this typewriter, y’all. Genius.